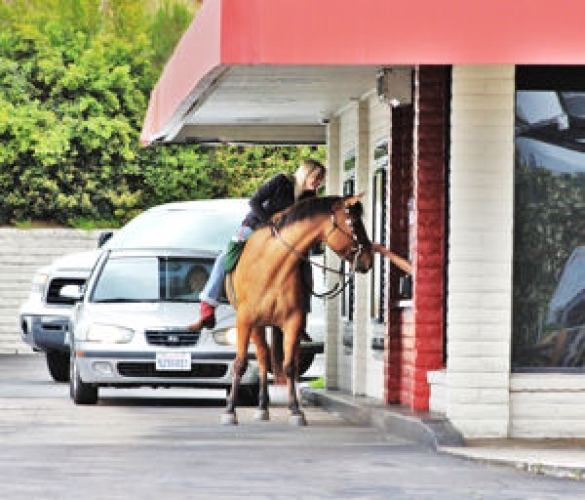 A British woman may be making headlines for riding her horse through a drive-thru, but she's not alone. 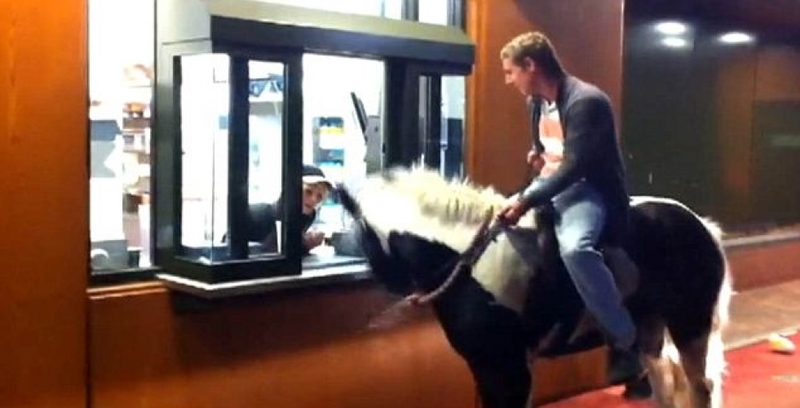 Yesterday, in Greater Manchester, UK, a woman was denied drive-thru service because she was riding horseback. 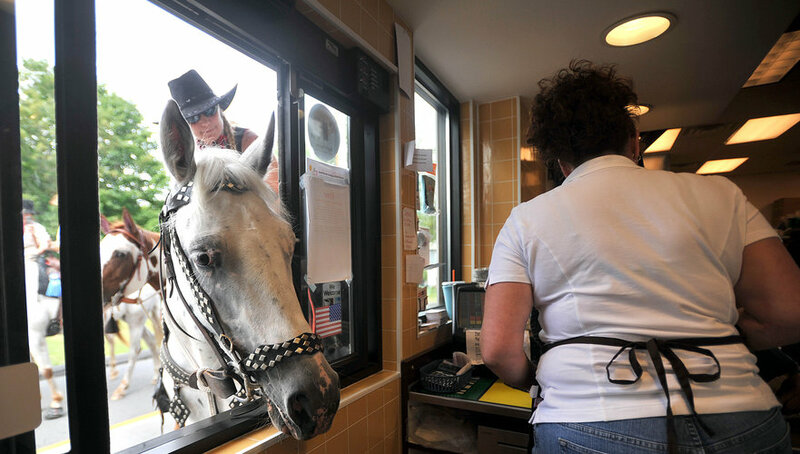 She acted as any hungry, mildly offended customer would, and brought her horse inside so that she would be served her Big Mac and fries. And that’s exactly when the large, irritated farm animal pooped on the floor. 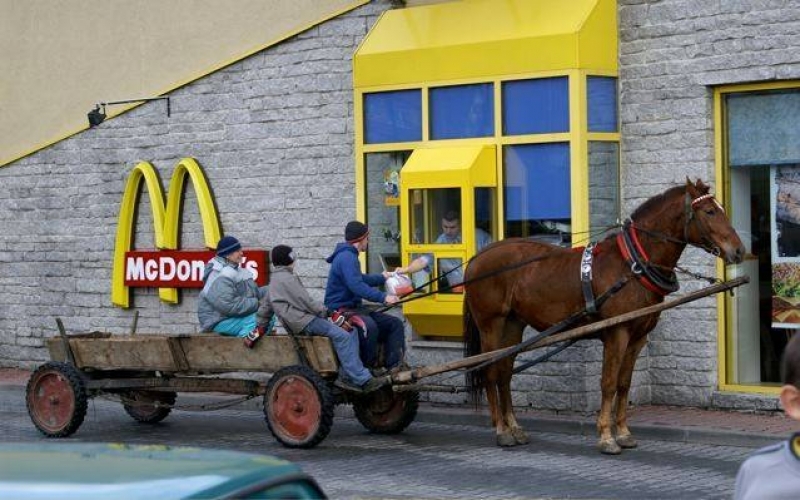 Customers were understandably distressed and upset, the police came, and the woman was hit with a fixed penalty notice for inconveniencing the innocent customers and, more importantly, making her horse have to go into a McDonald’s. Now, I’m not an expert on farm animals, but I’m pretty sure a fast food restaurant is one of the least appropriate environments for a horse. 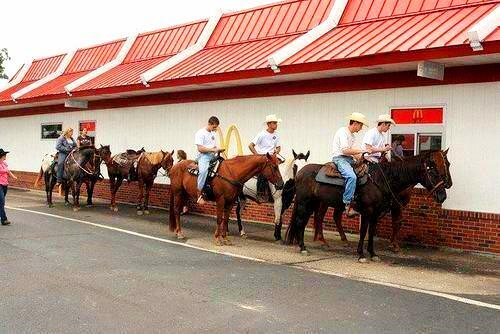 What’s more, I’m not so sure the public has gotten over the global horse meat scandal of last February. 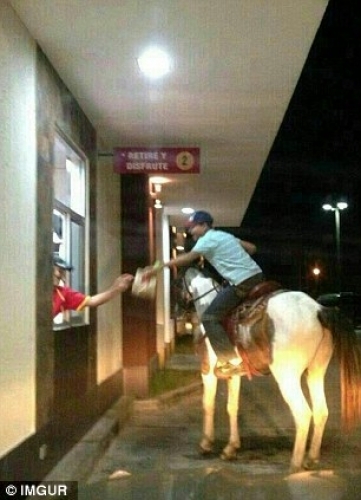 Is it too soon to be taking a horse into the belly of the beast? I think yes. 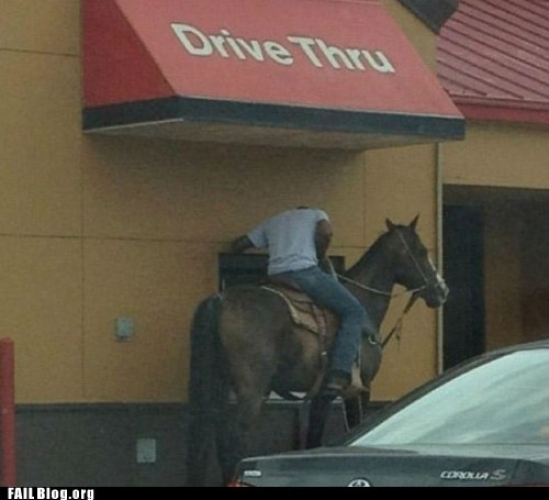 Regardless of this unnamed woman’s questionable morals, she’s not alone in her attempts to ride through the drive-thru. 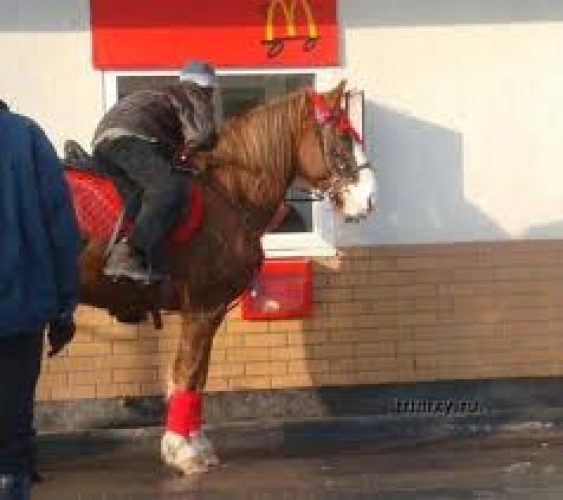 And due to further photo evidence, she’s actually pretty fair in assuming everything would go smoothly and she’d be galloping back with a hefty Big Mac, no problem. 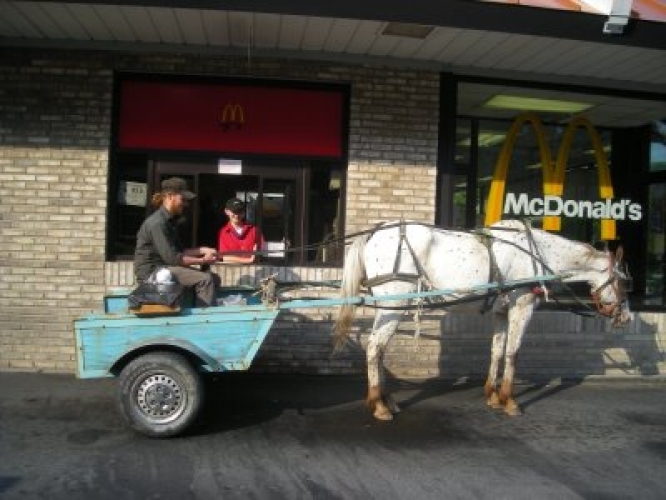 So, to assure everybody that this is no new practice, and to cool everybody from freaking out about this cowgirl’s shenanigans, we’ve compiled visual evidence that many a McDonald’s patron has enjoyed their drive-thru on horseback. This type of stuff happens all the time. 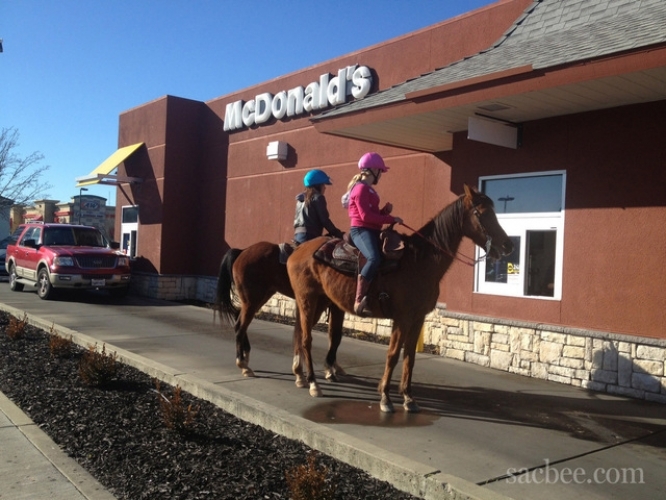 Click through the gallery to see just how common, albeit utterly ridiculous, ride-thru fast food is. 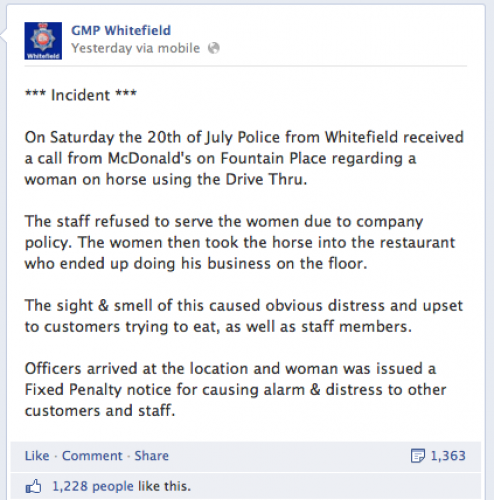 Greater Manchester Police Department's incident report from Sunday's ride-thru horse scandal.